The investment cost of the joint project of the Azerbaijani State Oil Company SOCAR and BP for the construction of a petrochemical complex in Turkey will be approximately $1.5-2 billion, General Director of SOCAR Turkey Energy Zaur Gahramanov said, Trend reports via Turkish media. 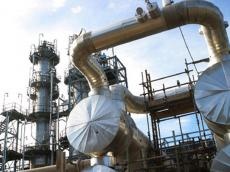 The start of the construction of the new petrochemical complex in Turkey is scheduled for the 2H2019, Gahramanov said. He noted that the expected launch date is late 2022. It was earlier reported that BP and SOCAR Turkey, a subsidiary of the Azerbaijani state oil company SOCAR, signed a heads of agreement (HoA) to evaluate the creation of a joint venture that would build and operate a world-scale petrochemicals complex in Turkey. The facility would be located at SOCAR Turkey’s Private Industrial Zone in Aliaga, which includes the recently-inaugurated STAR refinery and major Petkim petrochemicals site. The facility would produce 1.25 million tons per annum (tpa) of purified terephthalic acid (PTA), 840,000 tpa paraxylene (PX) and 340,000 tpa benzene. So far, SOCAR Turkey has invested over $14 billion in the Turkish economy. Meanwhile, 5,000 people work in the company, while the export potential reaches $3 billion. The company has a controlling stake (51 percent) in the Petkim petrochemical complex on the Aliaga peninsula and owns the STAR oil refinery.